Published by Mountainblog on 10/12/2012 . Strato isolante estremamente termico e leggero. 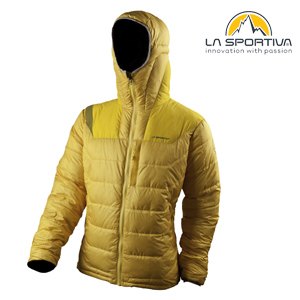 Realizzato per il massimo isolamento termico anche in condizioni di freddo estremo, idrorepellente, anti-vento e con un peso eccezionalmente contenuto, Cham Down jacket è il massimo della polivalenza in montagna: può essere indossata da sola come strato esterno o come strato termico sotto ad un guscio “hard shell” in situazioni di temperature molto basse. Grazie al collo alto ed al design tecnico del cappuccio (regolabile in un semplice e veloce movimento “one-hand”), protegge perfettamente la testa senza compromettere la visuale e la mobilità del collo. L’imbottitura in piuma d’oca coniuga in maniera perfetta proprietà termiche e leggerezza. Può essere facilmente riposta nello zaino grazie alle sue eccezionali doti di compressione che ne contengono il volume al minimo. La risposta perfetta alle basse temperature. 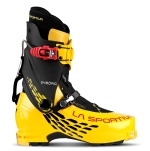 apparel.lasportiva.comThe Cham down jacket combines very warm insulation with windproof and water repellent finishing. A key jacket to maintain warmth in the coldest conditions. This lightweight garment has all the features and will compress to stow in an internal pocket. All of the down chambers use a 3D construction technique to ensure the highest insulation rating possible. The collar is high and combined with a technical hood design using single hand adjustment capabilities to make sure that the face and head are fully protected without limiting visibility. While you can layer this piece under a hard shell, it functions perfectly on its own. In the Twenties Thirties and Forties, Narciso Delladio hand-crafted wooden clogs and leather boots for many lumber-jacks and farmers of the Fassa and Fiemme valleys, who trusted his skilled hands. Very important is the date of a participation certificate at the Milan Trade Fair in 1928. During the Second World War, Delladio custom produced mountain boots that were supplied to the Army. Dating back to this period is a patent for a special lacing system, that later will be used by the most important footwear factories. Do You Know What Makes No-Edge Climbing Shoes so Revolutionary? 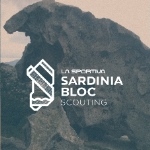 La Sportiva Dedicates a Video to all the Trail Runners out There! 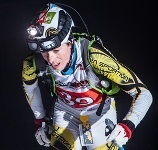 Silvio Reffo: "My Easy Way to Climb"